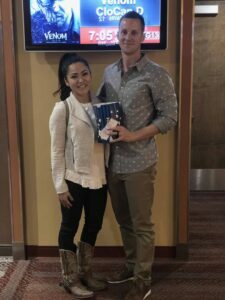 Christina Popovic blew our tribe away and ended up winning the $10k in 10 Weeks Challenge at our LIVE Event in April 2018. Now she’s here and excited to share how she spends her day running her own 6-figure business as well as being a present mom and wife. Hi! I’m Christina Popovic, founder and owner of Sol Coaching, LLC. I am a BHC graduate and will be finishing up Mastery in November 2018. I can’t believe it’s been a year already! 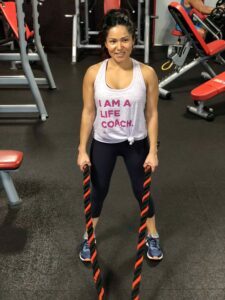 I’m a Health, Life, and Success Coach. I help my clients slay fear so they can build the business they dream of while being authentically and unapologetically themselves. I’ve built a beautiful tribe of amazing Fierce Warrior Queens. 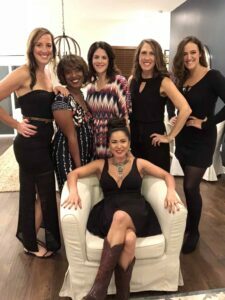 Here are a few of them during my very first VIP client retreat just a few days ago! Before I became a coach, I did a lot of different jobs. I was in the Navy for 4 years, I worked in several administrative positions after that, as well as jobs at several fitness centers. I was a stay at home mom for a couple years mixed in there and dabbled in some direct sales businesses as well as court reporter training. As you can tell, it took me a while to find my purpose. It took a lot of finding what WASN’T my calling to finally be led to what WAS. I always felt I HAD a purpose…I just had no clue what it was. Come along with me as I give you a virtual tour of a typical day in my life! I’m sadly not a morning person, so my day usually starts a little slow. I get up and get myself ready for the gym, make my son and I some breakfast, and get him ready to head to school. 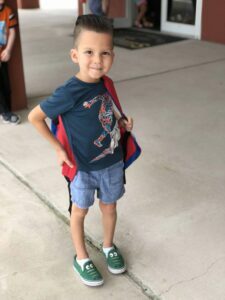 My son, Liam, is 5 years old and started Kindergarten this year. I can’t believe he’s in school and what they say is so true—it goes by in a flash. I drop him off and head straight to the gym. I have recently hired a personal trainer and am loving the stretch! My favorite kind of fitness is weight lifting. I love feeling strong and pushing myself more and more to become the best version of me. After a great workout, I head home, have a post-workout snack (such as a shake, Greek yogurt and berries, or a protein bar) and get ready for my client calls, which typically take place in my home office. On average I have two client sessions a day, 4 days a week. I also am very intentional with my presence on social media and share via Facebook lives and Instagram stories as much as possible. I love social media! After client calls, lunch time rolls around (about 2 pm for me). 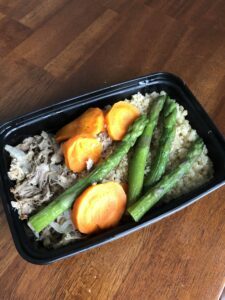 I press the easy button and typically bust out one of my amazing meals from a local organic meal prep company I love so much! I don’t like to cook so this method helps me eat healthy without spending much time or energy on the prep or clean up. I love it! I’m all about outsourcing things that don’t light me up so I can remain in my zone of genius and conserve my energy for my clients and my family (and myself!). The first thing I outsourced were my meals. I get fresh meals delivered twice a week for most lunches and dinners. The second thing I’ve outsourced was the house cleaning. Again, not something that lights me up so I have a housekeeper who comes twice a week and does the cleaning and the laundry. It’s such a game changer! When I began working from home, it was very distracting to have the housework pulling me away. 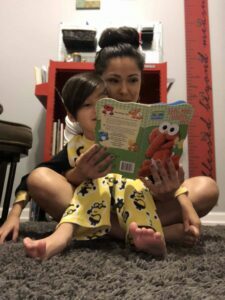 I used to feel guilty not keeping up with it because I was “home.” Thankfully my coach helped me see that even though I’m home, I’m not actually a stay-at-home mom like I used to be. When I was, yes, that was a big part of my “job.” But now, I work from home but I’m working! I’m running a 6-figure business by myself which means I need to be able to focus on work, just like I would if I had an office somewhere. Once I really understood this, I hired help and am so glad I made that investment. 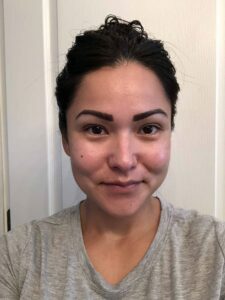 She does a great job keeping the home clean and the laundry done, which leaves me being able to use my time and energy to have amazing self-care and lots of energy for my business and family. I’ve learned that if it’s an energy leak and not in your zone of genius….outsource as soon as you can! You’ll pay someone way less than what you would be able to create with that time and energy saved. After lunch it’s usually about time to go pick up my son from school. Then from the time he’s home, until the time Daddy gets home, we will do something fun like go to the pool, park, or simply relax and watch some TV. We live in Florida so lucky for us it’s pool weather most of the year. Then it’s winding down time, getting washed up, brushing teeth, and story and prayer before lights out for Liam. Ahhhhhhhhh, the day is complete as far as adulting goes and then my FAVORITE part of the day starts—spending time with my hubby, Chris! Chris and I have been together over 11 years now, married almost 8. He’s been active duty in the U.S. Navy for the past 13 years. We met while we were both stationed on the USS Kitty-Hawk in Japan. 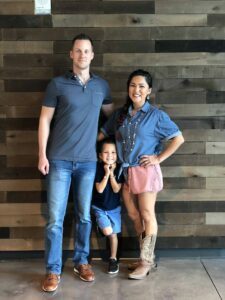 Military life has its challenges, such as Chris being gone a lot…but we are a proud military family and when he’s away, it gives me a chance to really focus and up level in my business. Before bed, one of my favorite feelings is having a nice fresh clean face! I take my sweet time doing my skin care routine and teeth brushing routine. This is my final (and one of my favorite!) acts of self-care for the day. My poor husband waits patiently and then we pray and drift off into dreamland together. When I was in my old corporate job, I had to wake my son up so early and drop him off at daycare for almost 12 hours, hit traffic, then sit in a dark office cubicle all day doing a job that didn’t fulfill my soul. I dreamed of a life where I could have flexibility, ease, and flow. A life where I could be there to take my son to school and pick him up and not have to put him in daycare all summer long. I dreamed of creating a life where the majority of my time was spent on things and people that light me up instead of having only 2 hours in the evening left after sitting in traffic and trying to fit in working out, family time, dinner, cleaning the house, and time for my husband…let alone any time for myself. Less than two years later, I have made my dream a reality. I feel so beyond blessed for the Health Coach Institute. That was the first step towards making this life possible. And I’m just getting started. -Be brave enough to be yourself, my dear. That’s your most powerful tool. The more YOU you can be, the more authentic, vulnerable, real, and unapologetically YOU you can be, the more soulmate clients (and cash) you’ll attract. -Trust that ALL things are working for your good and are exactly right in leading you where you’re meant to go. -There’s no such thing as failure. -Let fear be an indicator that you’re playing full out, not that you should retreat. -Remember that other people’s reactions to you are none of your business and YOUR people will LOVE you just as you are. So speak to them! Let everything you do be for them! They are the only ones who matter.